Why choose St. Christopher Island when it comes to make a living and invest? Once known as the Gibraltar of the West Indies, the massive 17th-century fortress atop Brimstone Hill on St. Kitts recalls colonial occupation. Independent of Britain since 1983, the nation is diversifying the economy away from sugar towards tourism, banking, and light manufacturing. The Federation of Saint Kitts and Nevis (St. Kitts & Nevis), located in the Leeward Islands, is a federal two-island state in the Caribbean region. The federation is the smallest sovereign state in the Americas, both in surface area and population. St. Kitts & Nevis is an ideal place for conducting business because of the high literacy rate (98%), the high levels of broadband access, the use of English as an official language, and the low taxes. It should be pointed out that, with regard to the taxes, there is no personal income tax nor capital gains tax in St. Kitts & Nevis. 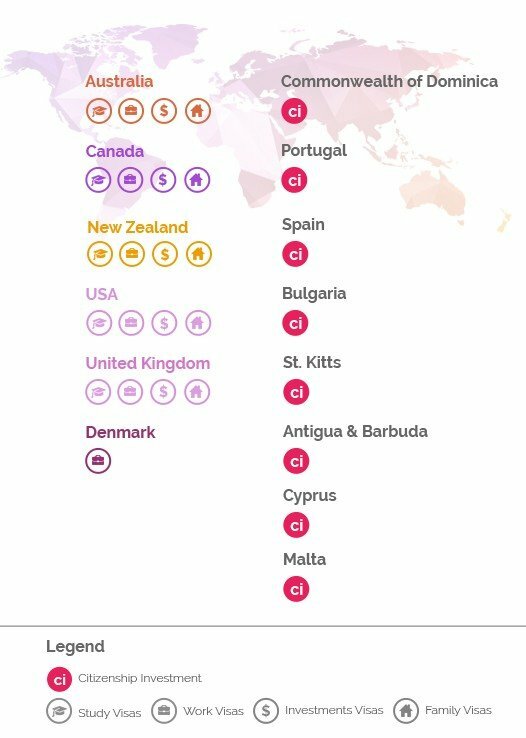 Moreover, there is no inheritance or gift tax, certain tax holidays are available in respect of corporation tax, and Saint Kitts and Nevis offers a variety of international tax planning vehicles including trusts, foundations, IBC’s, LLP’s, LLC’s and Captive Insurance Companies. St Kitts & Nevis attracts foreign direct investment from the Citizenship by Investment Programme, outlined in the Citizenship Act of 1984. The program allows any interested party to become a citizen of St. Kitts & Nevis if he/she invests in an approved real estate development or contributes to a public charity. 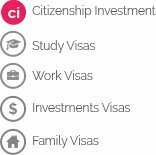 The next section discusses this Citizenship by Investment Programme. To qualify for citizenship under the St Kitts and Nevis citizenship by investment program, applicants have two options. Applicants must make an investment of at least USD 400,000 in villas and condominium units from an approved developer. Additionally, they have to pay other fees and taxes (USD 50,000 for the main applicant, USD 25,000 for the spouse of the main applicant (if any), USD 25,000 for each child of the main applicant under the age of 18 (if any), and USD 50,000 for each qualified dependent of the main applicant above the age of 18 other than the spouse (if any)). Applicants also have to pay purchase costs (4-5% of the purchase price) to cover for the compulsory insurance fund contribution and conveyance fees. Applicants can also make a contribution to the Sugar Industry Diversification Foundation (a public charity audited by PWC) for an amount varying between USD 250,000 and USD 450,000, depending on the number of dependents of the main applicant. Single applicants are required to make a non-refundable contribution of USD 250,000. Applicants with up to three family members (one spouse and two children below the age of 18) must make a non-refundable contribution of USD 300,000. Applicants with up to five family members (one spouse and four children below the age of 18) are required to pay a nonrefundable contribution of USD 350,000. Applicants with up to seven family members are required to pay a nonrefundable contribution of USD 450,000. Due diligence fees are also applicable. In the case of unmarried dependent children who are older than 18 but younger than 25, they can also be included in the same application provided an additional application fee of USD 50,000 is paid. Therefore, St. Kitts & Nevis is not only an attractive business Centre as it offers one of the best options worldwide for alternative citizenship. Citizenship of Saint Kitts and Nevis opens up a wide range of investment opportunities in Saint Kitts and Nevis and the rest of the Caribbean Community.